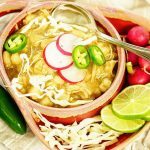 Green Chili Chicken Pozole Recipe with tender chicken, hominy and green chilis simmered to make the most delicious stew! I’ve said it before and I’ll say it again – Fresno has the BEST Mexican Food. Authentic warm flavors, carnitas, enchiladas and taquitos that will make your mouth water! Refried beans, pinto beans and black beans better than any I’ve ever tried. Trips to hole-in-the-wall hidden gems that I would not enter by myself, only to walk through the door and be welcomed by the warm family atmosphere and the unique flavors they share with our community. Having said that, my love of pozole comes from New Mexico! We’ve made a couple of trips to New Mexico visiting our friends Ron and Michelle and I go out of my way to find a big bowl! Chunks of pork or chicken, simmered in a rich red or green sauce, packed with hominy. 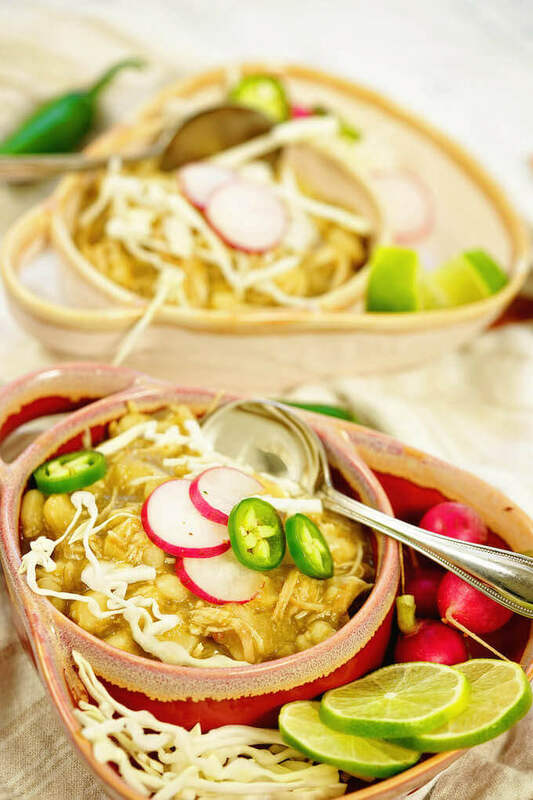 Green Chicken Posole Recipe with green chilis and verde is hearty and delicious! Is it posole or pozole? You’ll see me use the two words interchangeably as both are correct. Posole can have a red or green sauce and the meat will be pork or chicken. Both are stuffed with hominy. Pozole is traditionally served on Christmas Eve. What spices do you put in Green Chicken Pozole? The spices are simple – cumin, salt, green chili powder and coriander. Don’t have green chili powder? You can substitute with red or simply omit it. Green chili gives it a punch of heat. If you’re looking for that heat, pile on the jalapeños. I’d hate to have you go out and buy a new spice for just one recipe, but here’s the deal – you’ll be making this again and again! What ingredients are in pozole? I developed a recipe you can make no matter where you live! It was important that you can make Verde Chicken Pozole too! Here’s what I use for authentic flavor – chicken breast, canned green chilis, onion, garlic, hominy, green chili enchilada and verde sauce. 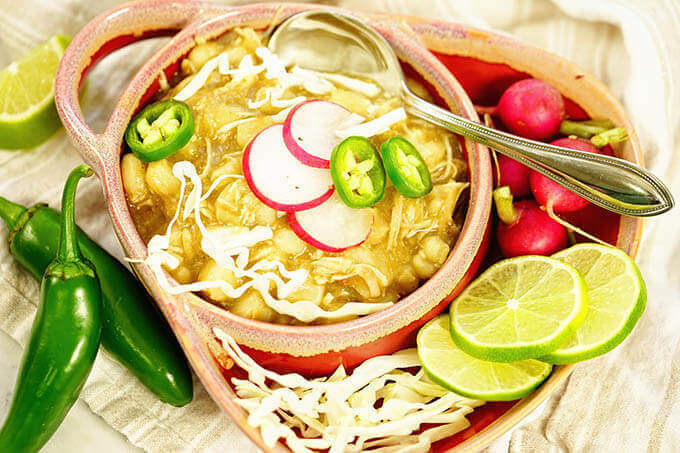 Top your Verde Chicken Pozole with sliced radishes, cabbage and some jalapeños to spice them up! Is there a substitute for hominy? When I was a kid, I remember Mom trying to make Don and me eat it. I’m pretty sure we just fed it to the dog under the table. 🤣🤣🤣 You can relate, right? If you haven’t tried hominy (I mean tried it since you were five and decided you hated it! ), or if you’re absolutely in a pinch, substitute with a couple of bags of frozen corn. Looking for healthy mealtime options? 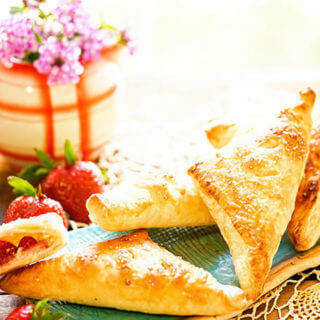 Click here for your FREE Mini-Cookbook! Get mine NOW!!! 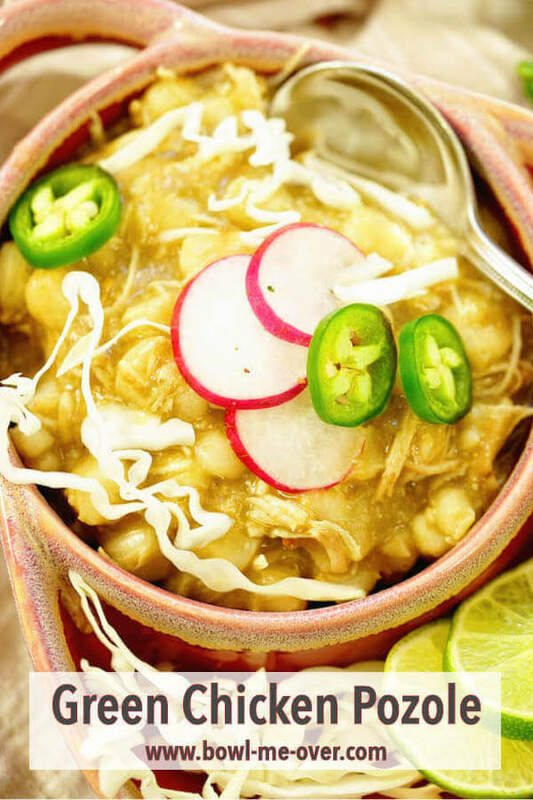 How do you make Verde Chicken Pozole? Add the spice rub ingredient to a large plastic bag. Add the chicken breast to the bag, massaging the spices into the chicken. Dice the onions and minced the garlic. Set aside. Heat a heavy bottom pot over medium heat. When hot, add the olive oil and brown the chicken breast on both sides. Next, add the onions to the pot and give them a quick sauté – about two minutes. Add the minced garlic and continue to sauté another few seconds until the vegetables become fragrant. Tightly cover and place in the preheated oven for two hours. Remove from the oven, take the chicken breasts out of the stew and shred. Return to soup, mix and serve. What are the best toppings for chicken posole recipe? This chicken posole recipe is such an easy stew to make and one of my very favorites! When you’re ready to serve, set up a bounty of toppings. Thinly sliced cabbage, chunks of creamy avocados, thinly sliced radishes, diced white onions and some spicy jalapeños. 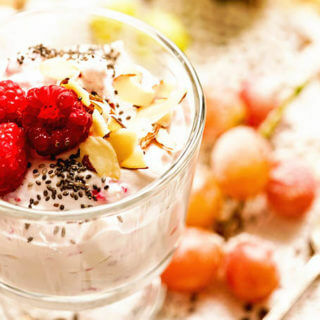 Creamy sour cream will help cool the heat. Want all of my tips and tricks to make the BEST soups and stews? If’s FREE – Get yours NOW!!! I found all the makings for this delicious meal at Grocery Outlet! click here to find a store near you. If you want all of my BEST tips and tricks on how to make Homemade Soups and Stews, click here! Here are more delicious Mexican flavors to enjoy! Add the ingredients for the spice mix into a large plastic bag. Add the chicken breast into the bag, massage in the spices, set aside. Heat a heavy bottom pot over medium heat. When hot, add the olive oil and brown the chicken breast on both sides - 2 to 3 minutes per side. Next add the onions to the pot and give them a quick sauté - about two minutes. Add the minced garlic and continue to sauté another few seconds until the vegetables become fragrant. Add the remaining ingredients - enchilada & verde sauce, green chilis and hominy. While the stew is baking in the oven prepare the toppings. Slice the cabbage, jalapeños and radishes. Dice the avocado right before serving. When you remove the stew from the oven, pull out the chicken breast. Shred with two forks and return the chicken to the stew, mix together well. Top with garnishes, serve and enjoy! Want authentic flavor? 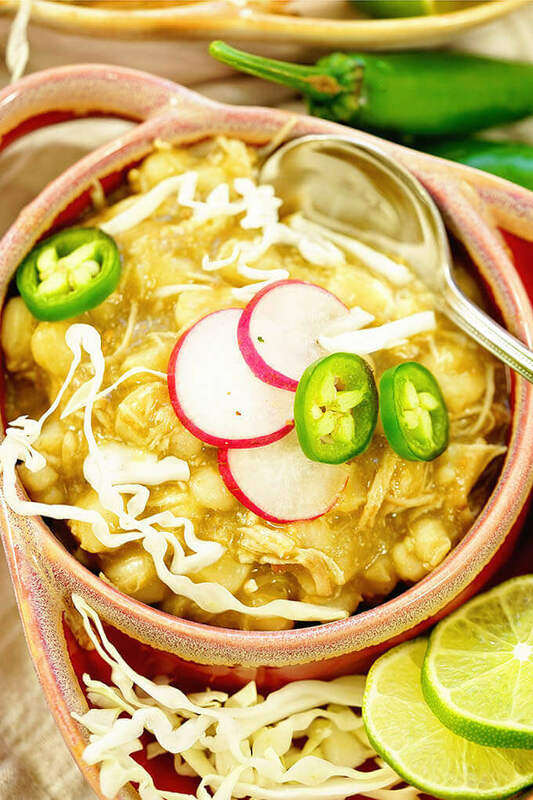 Serve up a big hearty bowl of Green Chili Chicken Posole. Tender white meat chicken, caramelized onions and sweet hominy combine with earthy spices to make a hearty bowl. Top it with crunchy cabbage, thinly sliced radishes and chunks of creamy avocado. The spiciness is tempered with a dollop of sour cream. « 10 BEST Gifts for Cooking Soup! I cannot think of a better combination than wine and pasole. This is a delicious comfort food meal and I must try the wine immediately. Can’t wait to try it. The green chiles are in the freezer ready to get used. 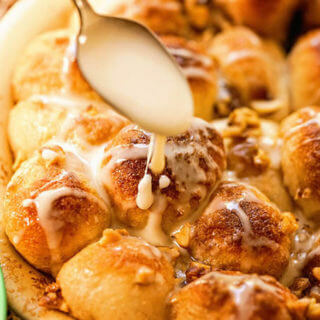 It’s so good, I know you’re going to love this Michelle – New fav, definitely! Oh my gosh, I’d love to linger over that dinner with a glass of wine. It looks like the perfect meal and experience to me! 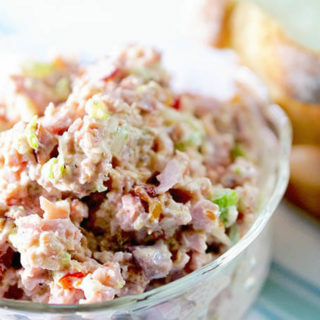 Great easy meal and fun for a crowd because it’s a perfect slow meal – I hope you give it a try Julie and be sure to stop by Grocery Outlet for the sale! You are a flavor sleuth! I can’t believe you created a soup like the one we had in Sacramento. I can’t wait to give this a try. Oh, and that prosecco is soooo good! Thank you, thank you!! 😀 Took a few tries, but I’m so pleased I’ve NAILED it!!! The Prosecco is delicious, we really enjoyed the wines and I know where I’ll be shopping from now on! Oh, this one is just unbelievably good! I mean… I’d never think about caramelizing the onions to give that healthy chicken a major boost of flavor! Mmmm! I want it now!!! So yummy! And paired with some wine? – It’s the ultimate treat!!! Thanks, Debra!!! Truly one of my favorites Liza! It’s a big hearty soup, but so delicious and flavorful. Thank you so much! This looks very good and will be making it very soon. Also stoping by grocery outlet to pick up some wine. It’s a great time to stock up for the holidays – enjoy Lois!! What a beautiful, elegant and delicious meal and wine pairing you’ve put together!! Printing this out and cannot wait to make it! This stew is AMAZING Angela, I really hope you give it a try!! Mmm, wine + stew is all sorts of comforting! Two of the BEST things – enjoy Justine! What a wonderful meal looks hearty and delicious especially alongside a terrific glass of wine! I love that posole recipe! It looks delicious in every way. I have been drinking Prosecco a lot lately! I love the flavor and the bubbles! 🙂 Perfect pairings! Thanks so much Michaela! I agree, what a great combination!! We LOVE posole and wine too. I’m a fan of Prosecco and frequent our local Grocery Outlet store. Can you believe I just picked up the Diama? I couldn’t resist the pretty bottle and the amazing price! I know right? The bottle is gorgeous and the wine is delicious! Such a great pairing with the Posole! Thanks Sandra!! I am not super wine savvy so I love when people recommend pairings for me! Thanks! I noticed you mentioned this for lunch or dinner. I think I might be a rebel and have it for lunch (on the weekend of course so I can drink) and invite some friends over! There you go, enjoy Jennifer! This is a fun wine and definitely one you want to enjoy with friends! I was able to pick up all of my holiday wine needs while I was at their sale. It was amazing! Im going to have to try this soup once it gets a little cooler here! I need to make this for dinner! This is such a gorgeous meal! 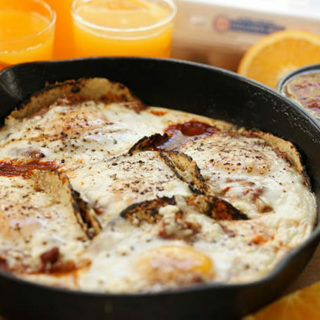 So hearty, I know you’ll love it Madi – it freezes great too if you have leftovers! Totally looking for a big bowl of this to warm up with tonight! YUM! Enjoy Julie, you’ll love this soup! My husband LOVED this! Going into our weekly dinner rotation. Wonderful! That’s just what I love to hear!! I have got to make this for my husband!! I know he will love it!! Thanks for a great recipe! You’re welcome Malinda – this soup is sooo good! enjoy!!! I LOVE pozole! But I’ve never had the green variety before! Will definitely have to give this a try! Adding the carmelized onions adds such a great flavor! This posole looks amazing. I think I’ll add it to my menu next week for dinner. Thanks for the delicious looking recipe. Wonderful! I hope you really enjoy this recipe, Debi! I’ve been wanting to try making posole recently! I have to give this a try! This is such a hearty and delicious soup! 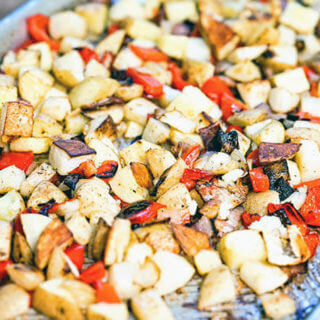 I love hominy and all the spices you use in this recipe. A must make this season! I had this recipe on my must make list for a while and finally got to it this weekend. It was so easy to make, but still had the best flavors in the soup. We loved the added crunch with the cabbage and radishes. I’ll definitely be making this a part of our regular soup rotation,,, it was delicious! I love this updated version of this posole! I swear the combination of green chili and chicken was meant to go together and one of my very favorite flavor profiles! Soooo tasty! You’ll enjoy this meal, I promise you! I was so excited when we moved to the southwest so I could start getting authentic Mexican recipes but I can just make this and it’s even better than here. But I will say that I get to use regional Hatch Chiles in it! Hatch chilies are the BEST!!! You’ll love this Jennifer! You had me at green chile!! This chicken pazole looks perfectly spiced and I can’t wait to serve it this weekend! It’s just the BEST!! I hope you really enjoy this stew!